The Emergency Planning and Community Right-to-Know Act of 1986 is a United States federal law passed by the 99th United States Congress located at Title 42, Chapter 116 of the U.S. Code, concerned with emergency response preparedness. On October 17, 1986, President Ronald Reagan signed into law the Superfund Amendments and Reauthorization Act of 1986 (SARA). This act amended the Comprehensive Environmental Response, Compensation, and Liability Act of 1980 (CERCLA), commonly known as Superfund. A free-standing law, the Emergency Planning and Community Right-to-Know Act of 1986 (EPCRA) was commonly known as SARA Title III. Its purpose is to encourage and support emergency planning efforts at the state and local levels and to provide the public and local governments with information concerning potential chemical hazards present in their communities. During the early morning hours of December 3, 1984, a Union Carbide plant in a village just South of Bhopal, India released approximately forty tons of Methyl Isocyanate (MIC) into the air. Used in the manufacture of pesticides, MIC is a lethal chemical. The gas quickly and silently diffused over the ground and, in the end, killed, by some estimates, upwards to 5,000 people and injured 50,000 more. The only other place in the world that Union Carbide manufactured MIC is at its Institute plant in the Kanawha Valley of West Virginia. All of us here at the Institute plant have been deeply saddened by the tragic event in India and we extend our sympathy to all the people in the city of Bhopal. I am pleased to have the opportunity to make a point here this morning. Employees of the Institute plant have been manufacturing MIC in an effective and safe manner for seventeen years. We are extremely proud of that safety record. We are confident in the ability of our trained, dedicated, skilled, and experienced people. We are confident in the equipment that we operate, the safety precautions that we utilize, the monitoring systems that we have, and our plant emergency preparedness. Despite Mr. Karawan's vote of confidence for the safety of the MIC operations at his plant, Union Carbide elected to shut down production of the deadly chemical until it could make $500 million worth of safety improvements. On May 4, 1985, Union Carbide resumed production of MIC. On August 11, 1985, on the heels of the completion of the safety improvement program just a few months before, 500 gallons of aldicarb oxime and highly toxic MIC leaked from the Institute plant. Although no one was killed, 134 people living around the plant were treated at local hospitals. Both the Bhopal and the Institute incidents underscored the reality of modern-day chemical production—no matter what safety precautions are taken, no matter how well trained a plant's employees may be, and no matter how prepared a plant may be to handle an emergency situation, accidents may still occur. Indeed, around the time of the Bhopal disaster, 6,928 chemical accidents occurred in the United States within a five-year period. In response to this growing threat, the United States Congress passed the Emergency Planning and Community Right-to-Know Act (EPCRA) in 1986. 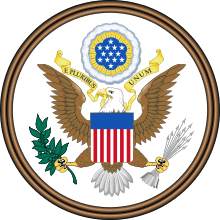 In November 1986, the United States Congress passed the Emergency Planning and Community Right-to-Know Act ("EPCRA" or "the Act") to help America's communities "deal safely and effectively with the many hazardous substances that are used throughout our society." The purpose of the Act is two-fold: (1) to encourage and support emergency planning for responding to chemical accidents; and (2) to provide local governments and the public with information about possible chemical hazards in their communities. To facilitate cooperation between industry, interested citizens, environmental and other public-interest organizations, and government at all levels, the Act establishes an ongoing "forum" at the local level called the Local Emergency Planning Committee (LEPC). LEPCs are governed by the State Emergency Response Commission (SERC) in each state. Assist in the preparation of public reports on annual release of toxic chemicals into the air, water, and soil. EPCRA does not place limits on which chemicals can be stored, used, released, disposed, or transferred at a facility. It only requires a facility to document, notify, and report information. Each section of the law, however, applies different requirements, has different deadlines and covers a different group of chemicals. contain methods and schedules for exercising the plan. Determining if a facility is subject to the EPCRA emergency planning requirements is straightforward. The Environmental Protection Agency (EPA) has published a list of "extremely hazardous substances (EHS)." For each EHS, the list includes the name, the Chemical Abstract Service number of the substance, and a number called a threshold planning quantity (TPQ). The TPQ, expressed in pounds, is the critical number. If a facility has within its boundaries an amount of an extremely hazardous substance equal to or in excess of its threshold planning quantity, the facility is subject to the EPCRA emergency planning requirements and must notify both the SERC and the LEPC of this fact. The facility must also appoint an emergency response coordinator who will work with the LEPC on developing and implementing the local emergency plan at the facility. list of CERCLA hazardous substances. A contact person at the facility. In addition to immediate notification, facilities are required to provide a follow-up report, in writing, "update(ing) the original notification, provid(ing) additional information on response actions taken, known or anticipated health risks, and, if appropriate, advice regarding any medical care needed by exposure victims." Failure to notify the proper authorities may result in civil penalties of up to $25,000 per day for each day of non-compliance and criminal penalties of up to $25,000 in fines and prison sentences of up to two years. Of course there are exceptions. A release which results in exposure to persons solely within the facility boundary or is a federally permitted release does not have to be reported. Also, continuous pesticide and radionuclide releases meeting specified conditions are exempt. lesser of 500 pounds (230 kg) or the threshold planning quantity (TPQ) for extremely hazardous substances. If a facility is subject to reporting under these sections, it must submit information to the SERC, the LEPC and the local fire department with jurisdiction over the facility under two categories: MSDS reporting and inventory reporting. within three months of any change, an MSDS or list for additional chemicals which meet the reporting criteria. Inventory reporting is designed to provide information on the amounts, location and storage conditions of hazardous chemicals and mixtures containing hazardous chemicals present at facilities. The inventory report has two forms. The Tier One form, the simpler of the two, contains aggregate information for applicable hazard categories and must be submitted yearly by March 1. The Tier One form is no longer accepted by any state. The Tier Two form contains more detailed information, including the specific names of each chemical. This form is submitted upon request of any of the agencies authorized to receive the Tier One form. It can also be submitted yearly in lieu of the Tier One Form. The data gathered will assist in research and development of regulations, guidelines, and standards. Under this section, The EPA is required to establish the Toxics Release Inventory (TRI), an inventory of routine toxic chemical emissions from certain facilities. The original data requirements for the TRI, specified in SARA Title III, have been greatly expanded by the Pollution Prevention Act of 1990. The TRI must now also include information on source reduction, recycling and treatment. manufactures, processes or otherwise uses a listed persistent bioaccumaltive toxic (PBT) chemical above the respective PBT's reporting threshold. PBT reporting thresholds can vary anywhere from 0.1 grams for dioxin compounds to 100 pounds (45 kg) for lead. On October 29, 1999, EPA published a final rule (64 FR 58666) adding certain chemicals and chemical categories to the EPCRA section 313 list of toxic chemicals and lowering the reporting threshold for persistent bioaccumulative toxic (PBT) chemicals. On January 17, 2001 EPA published a final rule (66 FR 4500) that classified lead and lead compounds as PBT chemicals and lowered their reporting thresholds. In December 2006, the EPA finalized a new TRI Rule which expands eligibility for use of the Form A Certification Statement in lieu of the more detailed Form R. Details about this final rule can be found on the EPA website under TRI Reporting. Since April 30, 1993, the United States Air Force, in accordance with AFR 355-1, "Disaster Preparedness, Planning and Operations," has voluntarily complied with Sections 303 and 304 of EPCRA in spite of the fact that federal facilities were initially exempt from its requirements. On August 3, 1993, President Clinton signed Executive Order 12856, "Federal Compliance With Right-to-Know Laws and Pollution Prevention Requirements." This Executive Order requires federal agencies, including the Department of Defense, to fully comply with all provisions of EPCRA and the Pollution Prevention Act with one notable exception: the reporting requirements under Section 313. Currently, a non-federal facility must file a Form R only if it is in a specified Standard Industrial Classification (SIC) Code. This exclusion does not apply to federal agencies. Federal agencies will comply with the provisions of Section 313 regardless of the SIC code that applies to their facilities. Extremely Hazardous Substances : This list currently contains more than 300 chemicals. Because of their extremely toxic properties, these chemicals were chosen to provide an initial focus for chemical emergency planning. If these chemicals are released in certain amounts, they may be of immediate concern to the community. Releases must be reported immediately. Hazardous Substances: These are hazardous substances listed under previous Superfund hazardous waste cleanup regulations (Section 103(a) of the Comprehensive Environmental Resource and Conservation Liability Act—Superfund). The current list contains about 720 substances. Releases of these chemicals above certain amounts must be reported immediately because they may represent an immediate hazard to the community. Hazardous Chemicals: These chemicals are not on a list at all, but are defined by Occupational Safety and Health Administration regulations as chemicals which represent a physical or health hazard. Under this definition many thousands of chemicals can be subject to reporting requirements if a facility manufactures, processes, or stores them in certain amounts. Inventories of these chemicals and material safety data sheets for each of them must be submitted if they are present in the facility in certain amounts. Toxic Chemicals: There are now more than 320 chemicals or chemical categories on this list, which were selected by Congress primarily because of their chronic or long-term toxicity. Estimates of releases of these chemicals into all media—air, land, and water—must be reported annually and entered into a national database. Youtube Video: Emergency Planning Community Right to Know This video shows how and where the information can be found, which companies must report their chemical use information, and what their method of disposal is.